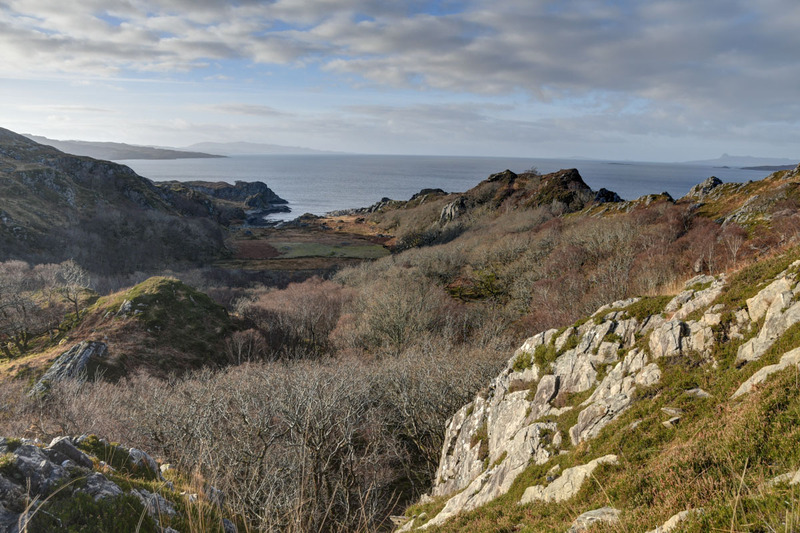 First walk of a new year – we decided to go and explore a quiet corner off the Mallaig road. 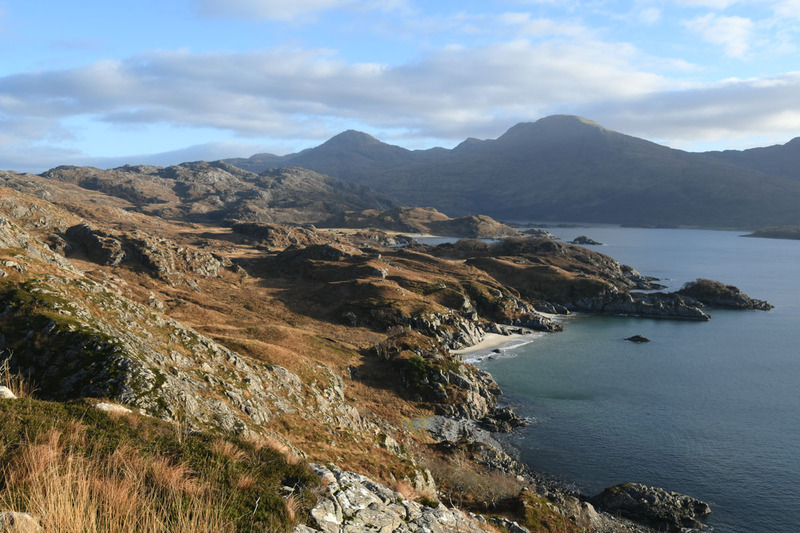 We’d had a quick walk on the Ardnish Peninsula a few years ago but not gone far. Parked up at the big parking area at NM 742 834. 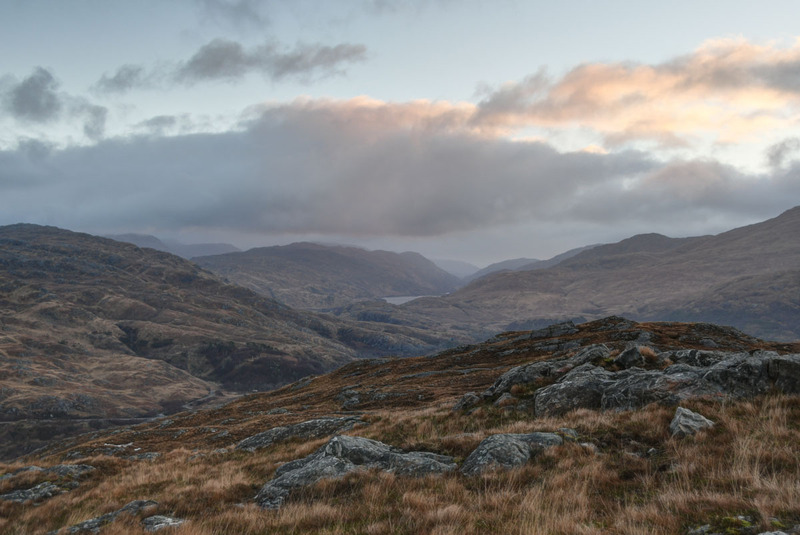 There’s a marked path out to Peanmeanach Bothy. We started a little before dawn. The path is a little gloopy in places before the railway bridge. Headed up the track to about NM 727 829 and then broke uphill to Cruach Doir an Raoigh. 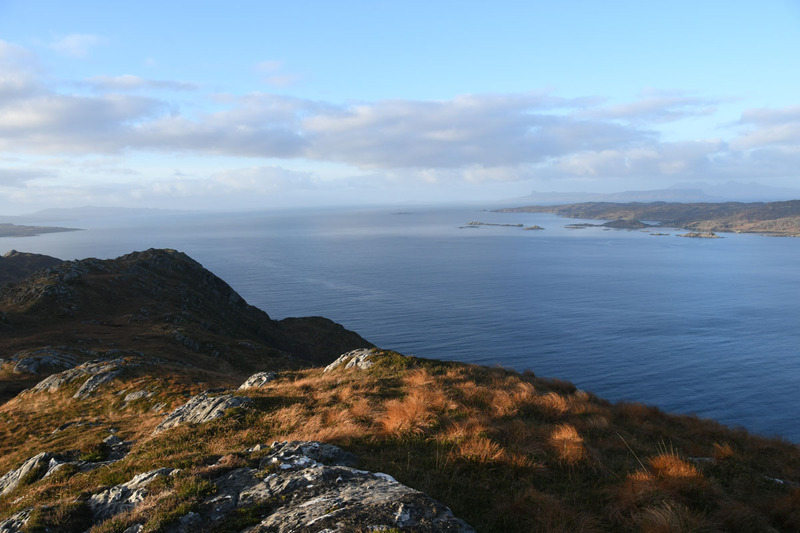 As we neared the summit a Golden Eagle flew past doing display climbs and stoops – first eagle within 15 minutes of sunrise on the 1st of January is a quick start for the year! Dawn was a little subdued in the grey high pressure. 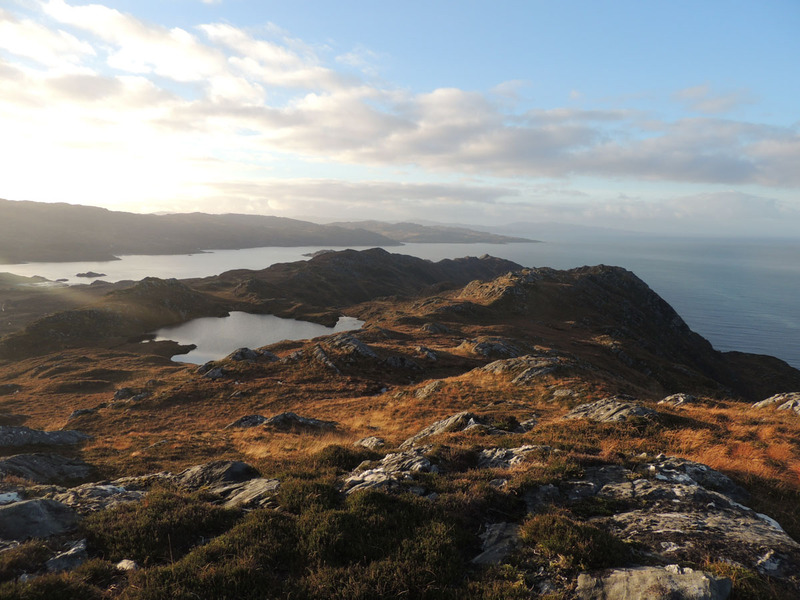 Had a brief pause for a cereal bar and then headed towards Cruach an Fhearainn Duibh. 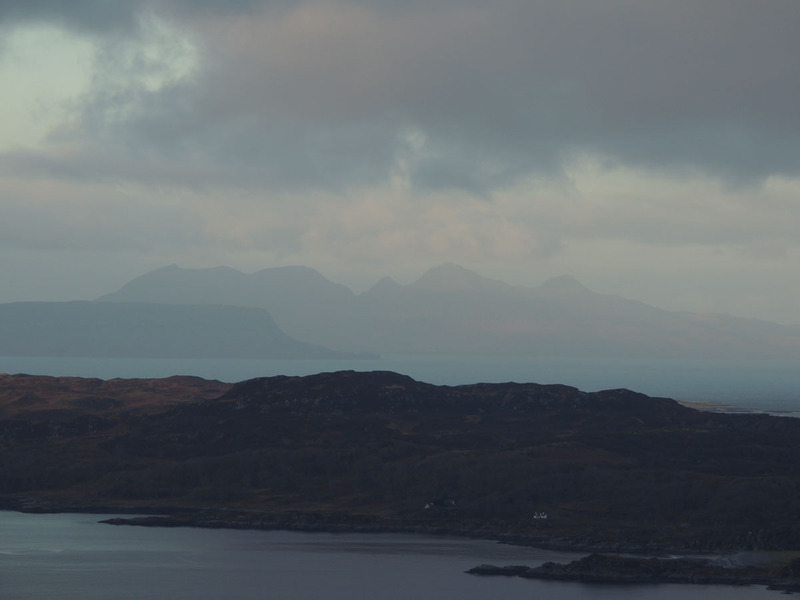 There should be a rather fine view out to Rum and Eigg, this was a little hazy. 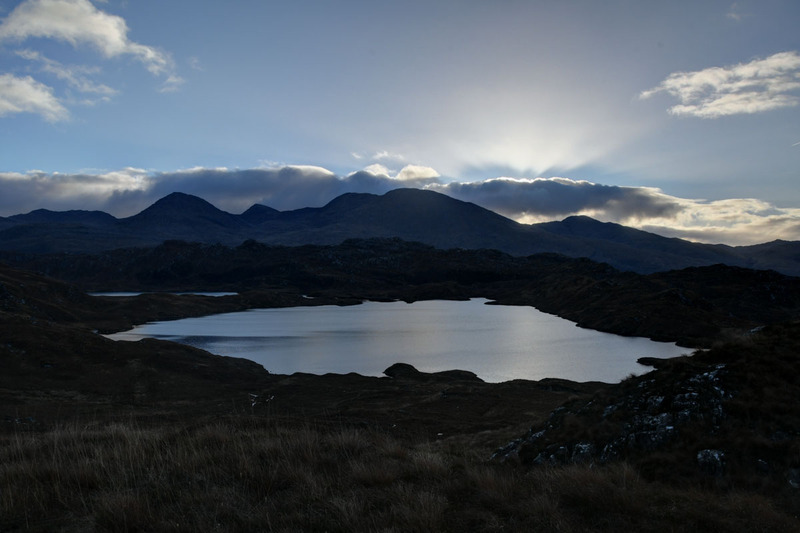 The sun was approaching a space above the clouds to the SE, the Rois-bheinn group looms over Ardnish in that direction. 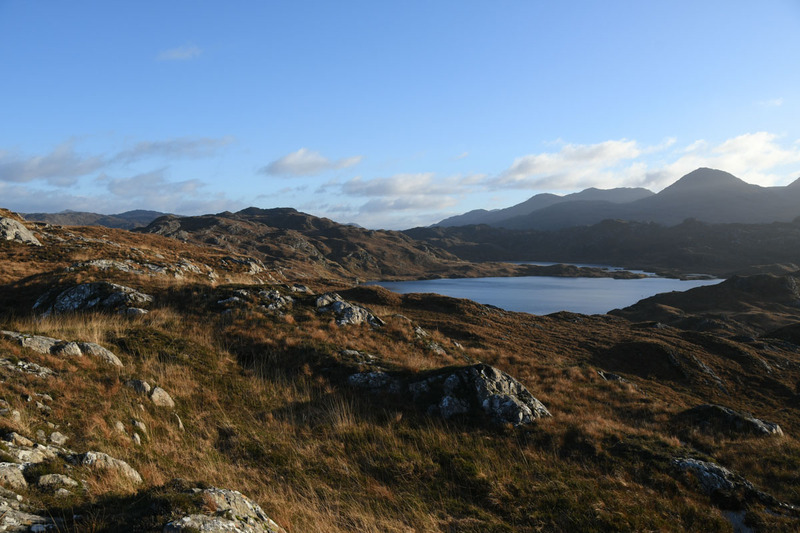 Finally a little sunshine began to light our way, Loch nan Uamh and its surrounds are quite attractive. 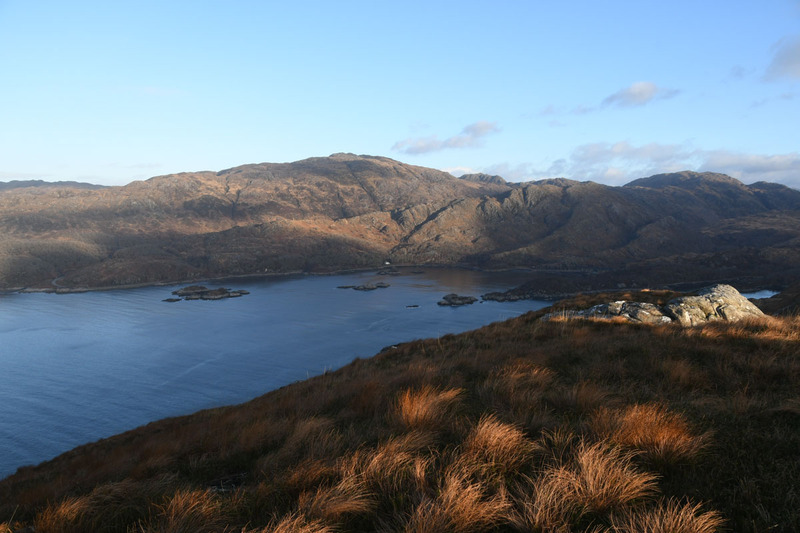 The path to Peanmeanach carries on south from the slopes of Cruach an Fhearainn Duibh. 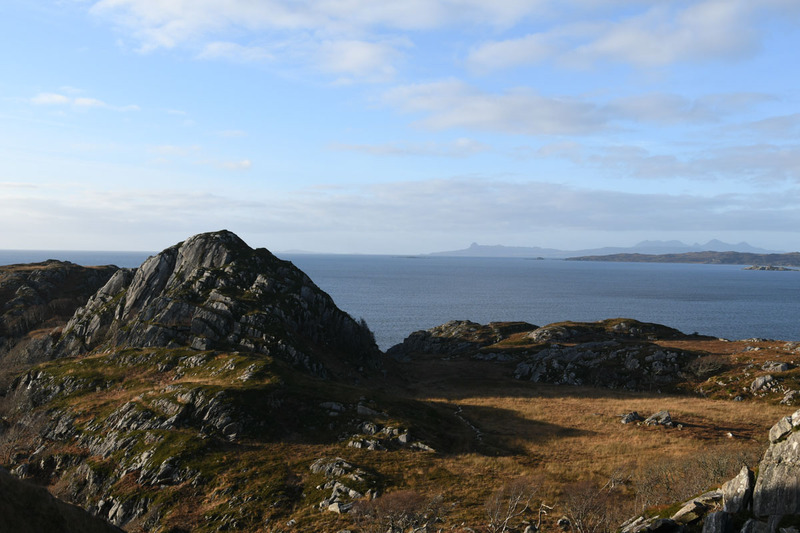 We’d decided to keep to the ridge on the NW flank of Ardnish down to the old settlement of Sloch. A bit of a gnarly ridge, typical of the area. 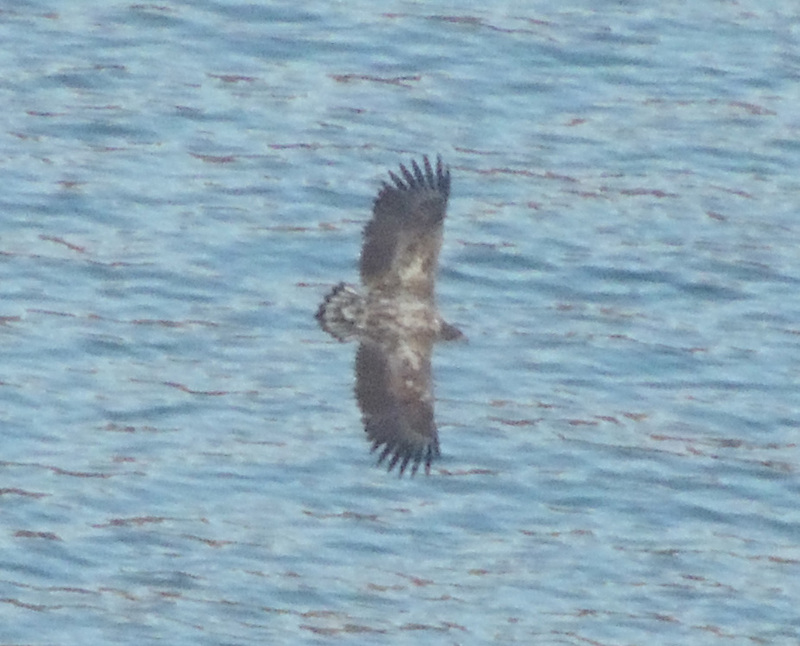 A big bird flapping below us above Loch nan Uamh caught our attention, I initially thought heron, but on checking with the binoculars it turned out to be an immature Sea Eagle. Quite a good return for the first 2 hours of daylight of 2019. Carried on down the ridge, the usual weaving side to side, up and down for the area. 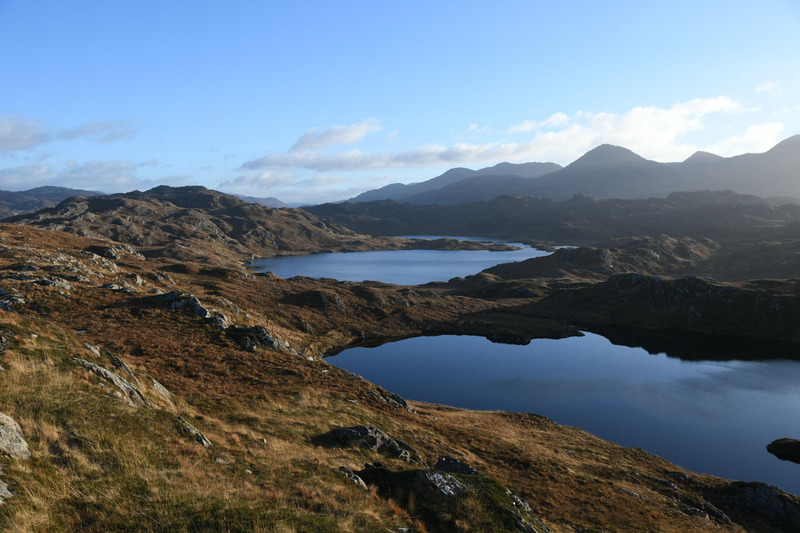 The centre of Ardnish holds a large loch – Loch Doire a Ghearrain. 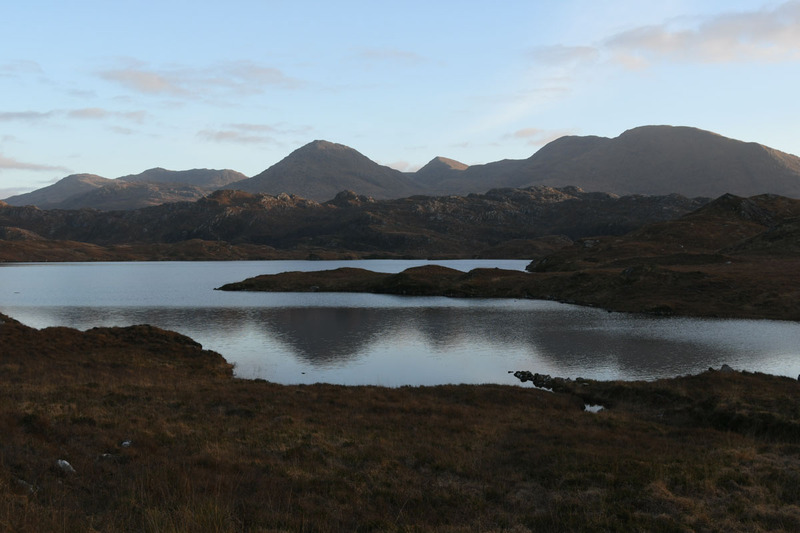 The lochs do look rather nice in the sunlight. We carried on down as far as Eiridh Gharbh, At NM 702 817 we cut off the crest of the ridge to drop down into Sloch. It was a little rough dropping down to the old settlement. 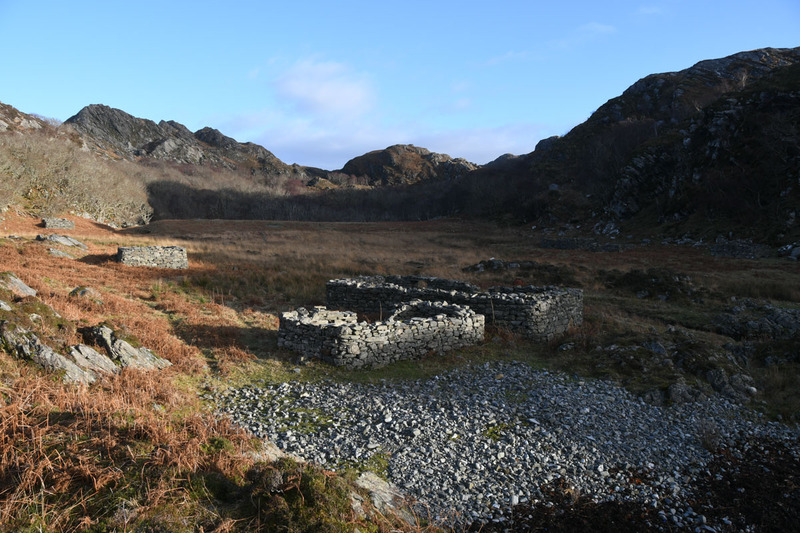 There’s an area of marshy ground prior to a raised beach and then the old houses. A little frequented spot I suspect. Sloch was dropping into shade so we crossed over a headland to Port na h-Aifrinne to sit in the sunshine and have lunch. 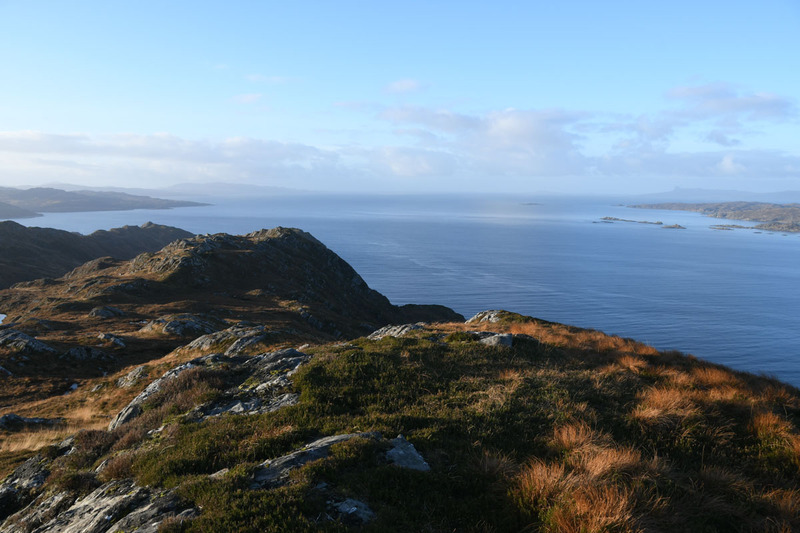 The coastline round from Port na h-Aifrinne looked a bit rough so we cut over the hills to approach the beach at NM 699 806. This wee beach is lovely, at least one nice camping pitch noted. 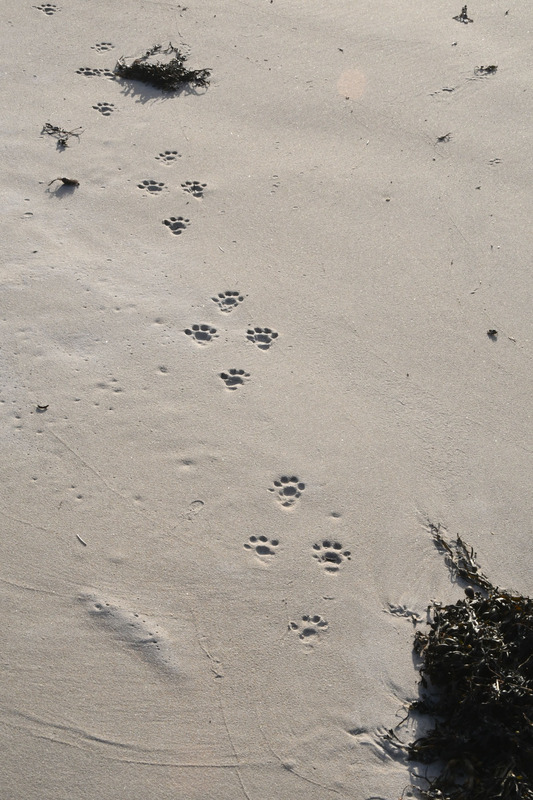 There was a set of otter tracks (running I think). 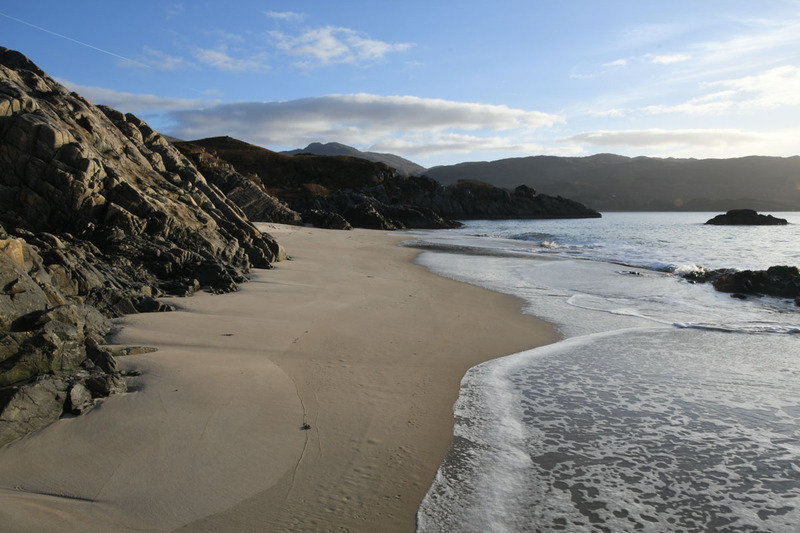 I’d looked at pictures of this beach on Geograph – nice to see it in person. 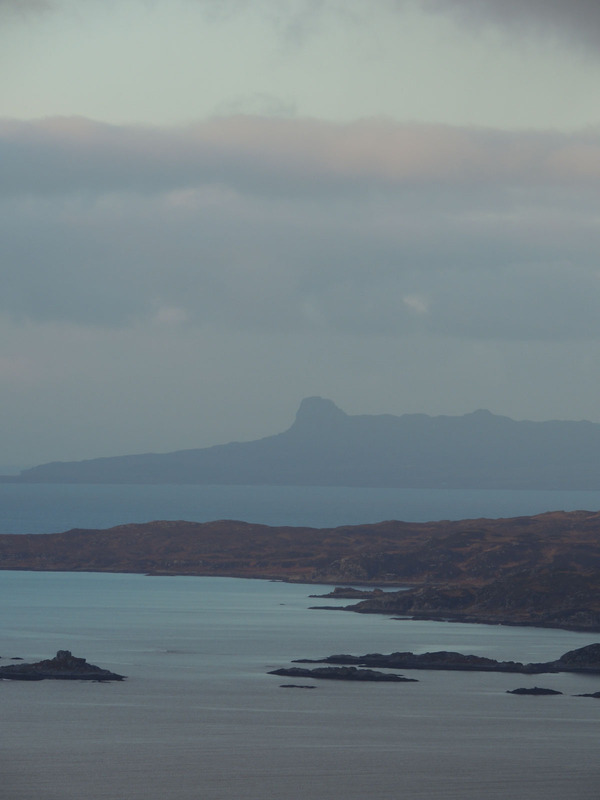 From the beach we wandered round past the ruins of Glasnacardoch to Peanmeanach. A few folks around the bothy as expected. The houses round here were occupied til about 1942. 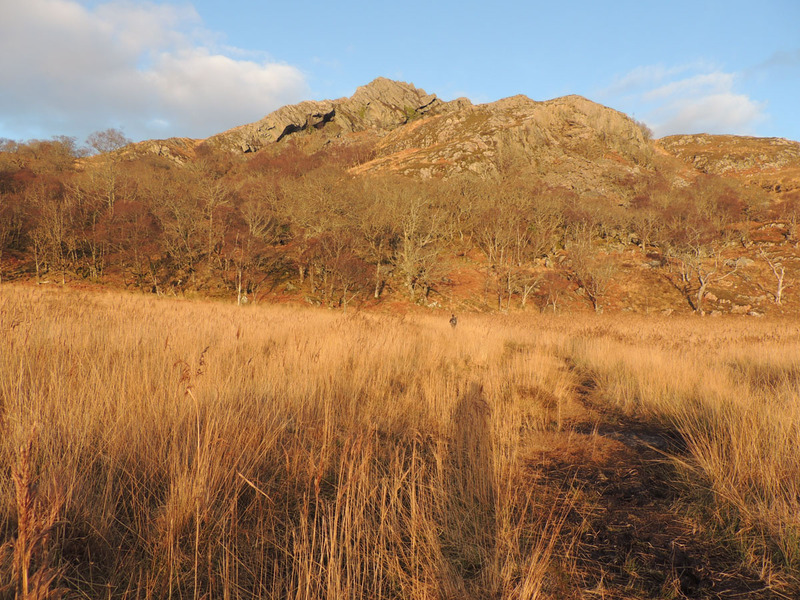 Turned for home – there’s a long straight path out of Peanmeanach across the marsh. The path quality is pretty good from the bothy up to the high point at 151m, a little less so on the rest back to the road. 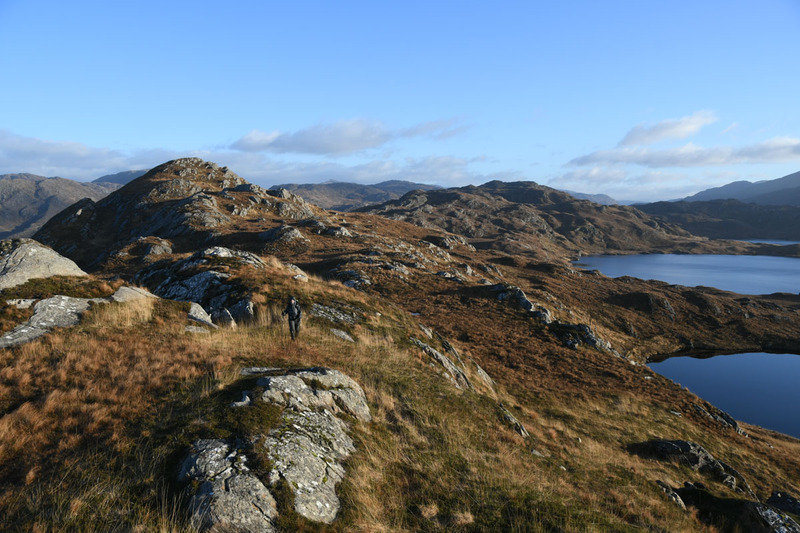 A cracking wee walk – a good start to 2019. 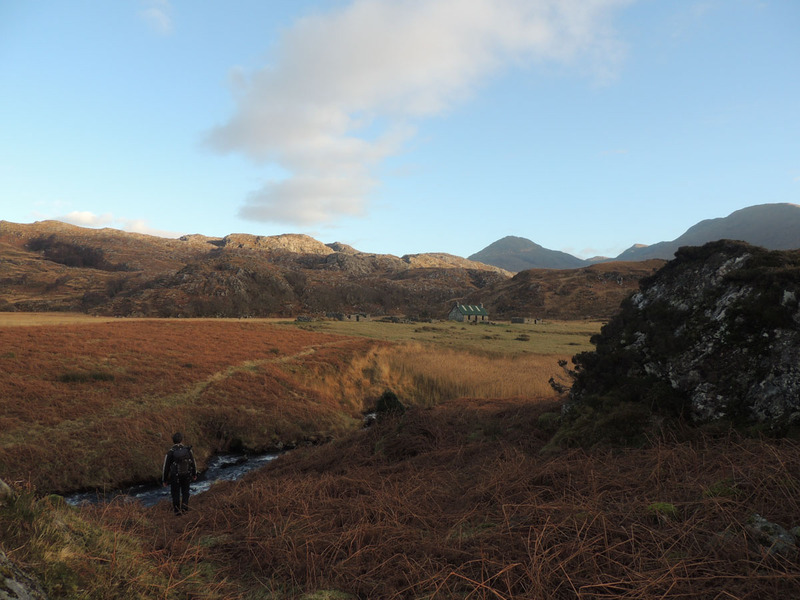 That looked a grand walk K, less frequented once away from the bothy I’d imagine. I suspect kayakers more than walkers. Nice area though. ← Not the Corryhully Horseshoe. 25th November 2018.